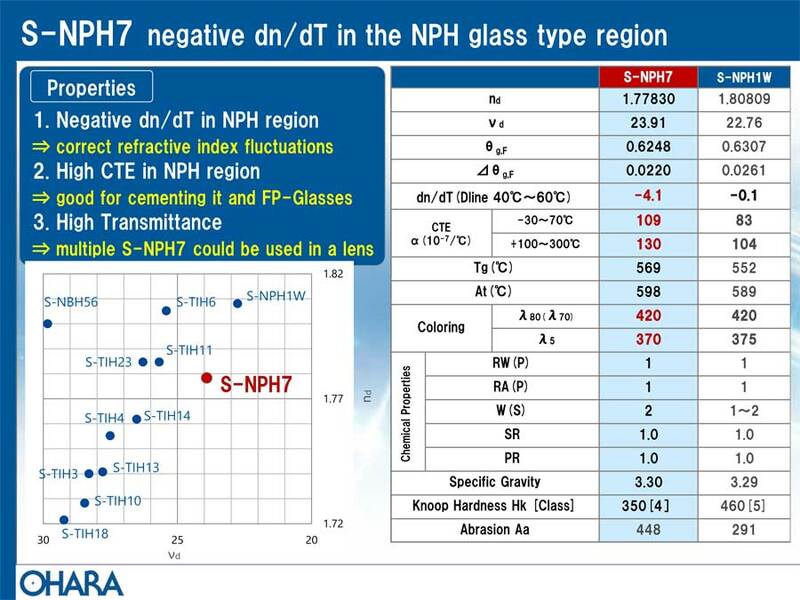 S-NPH7 is an optical glass with negative nd/dT values. In Automotive camera lens systems, the focal length is often a fixed distance. Refractive index fluctuations within the optical system should certainly be a consideration, as cars are used in environments where the temperature range can vary widely from below zero in colder climates to more that 50°C inside a car on a summer day. 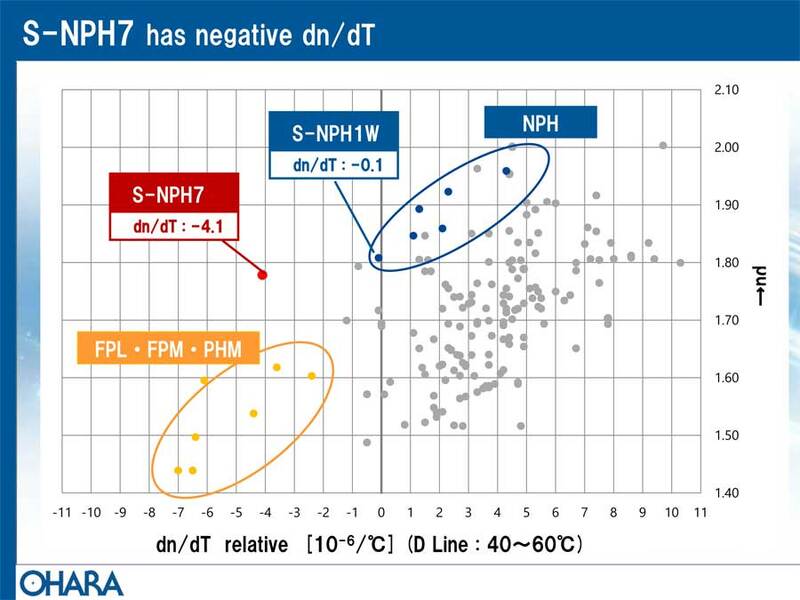 Since many optical glasses (including others in the NPH family) have positive dn/dT values, the refractive indices fluctuations due to temperature change can be adjusted efficiently when these materials are combined with S-NPH7. 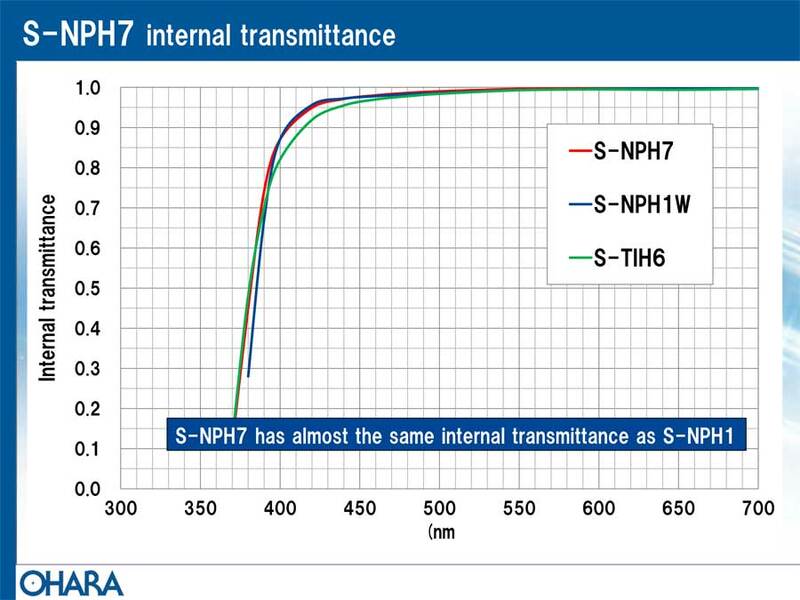 In addition to Automotive camera lens systems, S-NPH7 can also be used for Projectors, Interchangeable Photographic lenses, and various other applications.